(VEN) - Macroeconomic stability, the improvement of the business environment, and the economic growth that Vietnam achieved in 2015 will foster the Vietnamese economy in 2016 and throughout the 2016-2020 period. 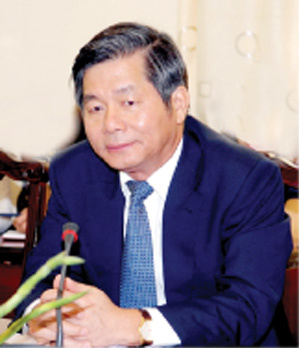 Minister of Planning and Investment Bui Quang Vinh claimed in an interview with Vietnam Economic News’ Nguyen Hoa. Could you share your views on the Vietnamese economy in 2016 and the 2016-2020 period? Let’s look back 2015’s results first. 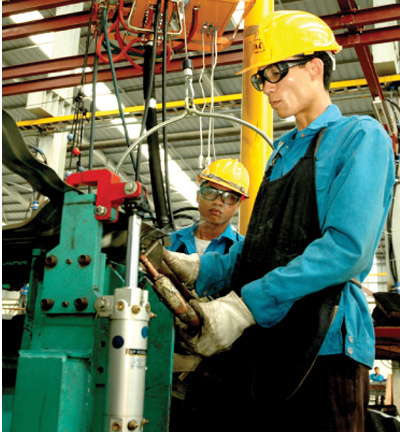 2015 could be said to be a special year for the Vietnamese economy. Despite numerous difficulties and big challenges, including the slow recovery of the global economy, strong decreases in output and export value of many kinds of agricultural and seafood products, continuous oil price falls, and the devaluation of the Chinese yuan, Vietnam achieved an annual economic growth of 6.68 percent, higher than the National Assembly-set target of 6.2 percent; macroeconomic stability was maintained; inflation was curbed at 0.63 percent - the lowest level for the last decade. 2015’s results created momentum for economic growth in 2016 and the 2016-2020 period. However, to achieve the National Assembly-set economic growth target, we should not disregard macroeconomic stability. Although the macroeconomic situation has been relatively stable, Vietnam still faces risks of instability. Public debts have reached allowable limits and can easily be exceeded if we do not take effective controls. Bad debts of banks and low labor productivity remain problems that need to be dealt with in 2016 and ensuing years. Free trade agreements (FTAs) that Vietnam signed in 2015 will take effect in 2016. What opportunities and challenges do you think these FTAs will bring Vietnam? Vietnam has been very active in boosting its integration into the global economy through participation in bilateral and multilateral FTAs. 2016 will see a higher level of integration. Specifically, we joined the ASEAN Economic Community (AEC) on December 31, 2015. 2016 will also see the implementation of FTAs between Vietnam and the Republic of Korea and the Eurasian Economic Union of Russia, Belarus, Kazakhstan, Armenia, and Kyrgyzstan. Negotiations on the EU-Vietnam FTA and the Trans-Pacific Partnership have been concluded, and these agreements will possibly be signed this year. These FTAs can mark 2016 as a turning point in the history of Vietnam’s integration into the global economy. Along with opportunities for Vietnam to increase exports and attract more foreign direct investment (FDI), international integration also requires the country to cope with a lot of challenges. The AEC allows free circulation of goods, investments, and skilled workers between ASEAN member countries. This means if Vietnamese goods and workers are of low quality, they won’t be able to compete with those of other regional countries or even in the domestic market. To make the most of opportunities presented by international integration, I think the government, the business community, and the public need to become more skilled. The government, ministries, and sectors need to outline clear plans to make the public and every business aware of these opportunities and show them how to make the most of these opportunities. At the same time, it is necessary to indicate challenges for each sector and each area, for example industry, agriculture, forestry and fisheries, so that businesses and people can make the most of opportunities and effectively cope with challenges. 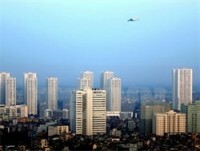 What do you think of the opinion that FDI businesses are favored more than domestic private companies? The Vietnamese government pays equal attention to all economic sectors, so I can say for sure that it does not favor FDI businesses more than Vietnamese private businesses. The National Assembly recently approved a number of amended laws such as Enterprise Law, Investment Law, and amendments to tax laws, creating favorable conditions for businesses from all economic sectors. The opinion that FDI businesses are favored more than domestic private companies might come from misunderstanding of laws. The Law on High Technology for example is applied not only to the FDI sector but also to businesses from all other sectors, which are eligible and capable to access preferences. FDI companies can easily access preferences because they have advantages in terms of technology, human resources, and capital. Meanwhile Vietnamese private companies and small and medium-sized enterprises (SMEs) still reveal many limitations that hinder their access to preferences. To provide domestic private companies and SMEs with better support, the Ministry of Planning and Investment will submit to the government a law on support for SMEs in the near future. Business incubation centers will be established to support people’s initiatives, encourage adventurous investments by young people, and promote the development of Vietnamese SMEs.